The April 1 guilty verdicts for 11 former teachers and administrators in the Atlanta Public Schools were hardly a fool’s joke. In what The Atlanta Journal Constitution (AJC) called “one of the most notorious” scandals to ever befall a public school system, the educators conspired to correct student answers on the mandatory Criterion-Referenced Competency Test (Johnson, 2015). Why would seemingly dedicated educators, for whom encouraging academic rigor and honesty is job one, hold “erasure parties” to reflect improved student performance? You guessed it: stringent standardized testing goals, surpassing even those established under the controversial federal No Child Left Behind law. In the words of the AJC, “… educators and administrators chose their careers and bonuses over doing right by the children they taught” (Johnson, 2015). The practice resulted in a “wrong-to-right” change rate the odds of which were estimated to be “one in 284 septillion” (Johnson, 2015). Perhaps it’s no wonder that the state and national praise raining down on Schools Superintendent Beverly Hall (who died of cancer last month) was supplanted by a 2008 investigation by the AJC and another initiated by the state’s governor. The first question was answered in a National Public Radio (NPR) article, “Why the Atlanta Testing Scandal Matters.” Citing data from the Government Accountability Office, NPR noted “confirmed reports of cheating on at least one standardized test in 33 states during the 2010-‘11 and 2011-‘12 school years” (Kamenetz, 2014). In reality, however, the fallout may be far worse. For young people forging a moral compass, the sad shirking of personal and professional responsibility by those entrusted with educating them and guiding them toward ethical accountability amounts to dereliction of duty. A duty of the highest order. Indeed, it is within this very intersection of moral development that sometimes crashes a code of ethics governed by society’s expectations with an emerging recognition that individuals are separate from that society and one’s own predilections might just take the center lane (Wallace, 2012). So salient is the role of public education in informing the ethical outcomes of its students that the national nonprofit organization Character.org has a vision of “young people everywhere who are educated, inspired and empowered to be ethical and engaged citizens” (2015). To that end, it has developed a curriculum titled “Eleven Principles of Character Education: A Framework for School Success” (2014). Among those eleven principles are ones that speak to a community that promotes core ethical and performance values as the foundation of good character (#1); offers an academic curriculum that respects all students, develops their character, and enables them to succeed (#6); and employs individuals who share responsibility for character education while exemplifying the same values guiding the students (#8). Back to school on character education. Character.org. (2015). About us. Character Education Partnership. http://character.org/about/vision-and-mission/ (2 April 2015). Character.org. (2014). Eleven principles of effective character education. A framework for school success. http://www.character.org/uploads/PDFs/ElevenPrinciples_new2010.pdf (2 April 2015). Johnson, K. (2015). Ex-educators jailed in Atlanta cheating scandal hoping for bond. The Atlanta Journal-Constitution. April 2, 2015. AJC.com. http://www.ajc.com/news/news/eleven-former-teachers-and-administrators-guilty-i/nkkFX/ (2 April 2015). Kamenetz, A. (2014). 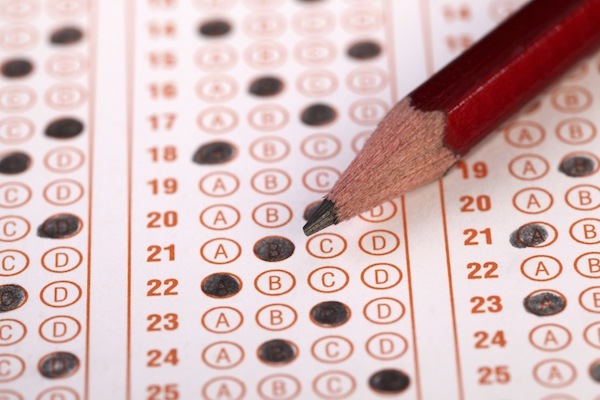 Why the Atlanta testing scandal matters. National Public Radio. August 17, 2014. nprEd. http://www.npr.org/blogs/ed/2014/08/17/340412133/why-the-atlanta-testing-scandal-matters (2 April 2015). Wallace, S. (2012). Does character count? Student scandals raise new doubt about ethical behavior. Psychology Today. November 20, 2012. https://www.psychologytoday.com/blog/decisions-teens-make/201211/does-character-count (2 April 2015).